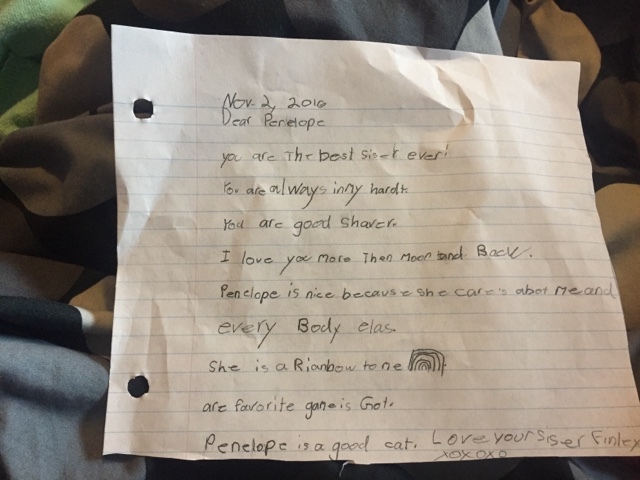 Part of being Star Student for a week involves getting a letter written about you from someone close to you in your family and Finley wanted to do it. Finley sat down at the kitchen table and wrote this all on her own and it melted all of our hearts and made us laugh a little too. She also got to take her soccer trophies and medals in to show her classmates since she was showing her ability to play soccer as her special talent. And she took in her favourite book to read during carpet time and it was some sort of pinkalicious one of course. 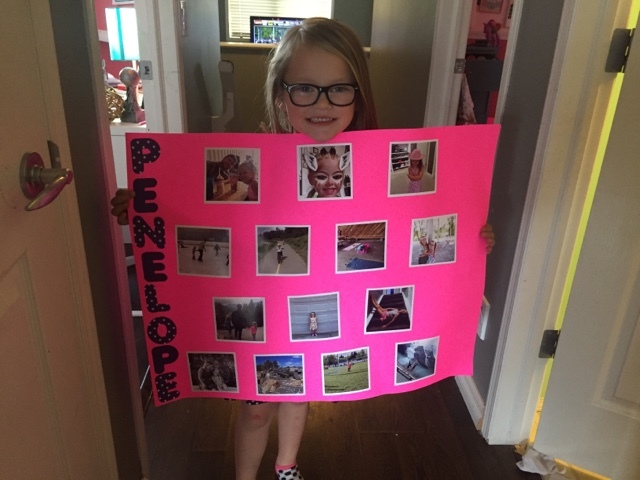 And we made this poster board full of photos she picked out to be printed to show her friends. She said her friends got a kick out of her photos hahah.